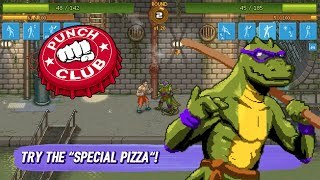 Developed by Lazy Bear Games and tinyBuild, Punch Club is a boxing tycoon simulation video game, available for the Windows, Mac OS X, Linux, Android, iOS, Nintendo Switch, Xbox One, PlayStation 4, and 3DS operating systems. 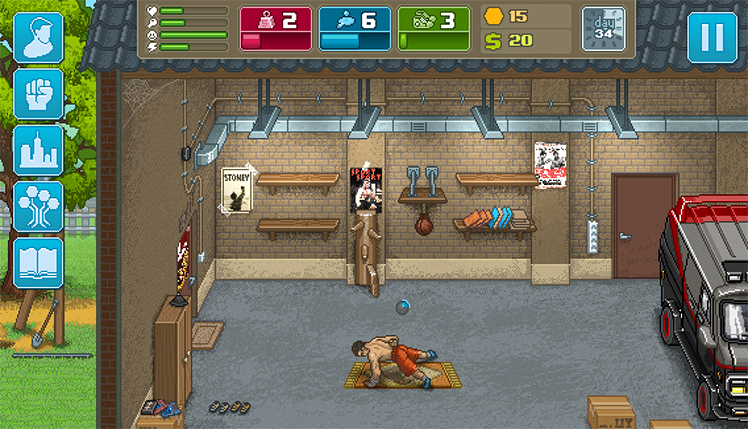 Play as an upcoming boxer whose father was brutally murdered. Join the local gym and train while also looking for who is responsible for the grisly death. Control everything, like the style of fighting to train in. Even develop personal aspects of the boxer's life. Trust a variety of people or trust no one and remain suspicious. 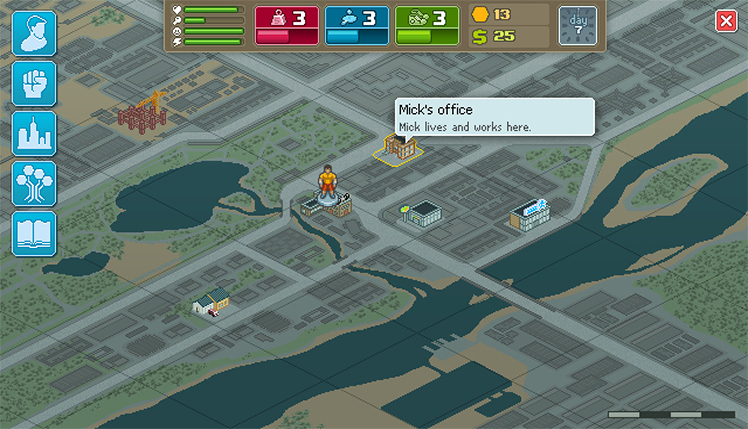 Answer all of these questions and more in this tycoon video game. 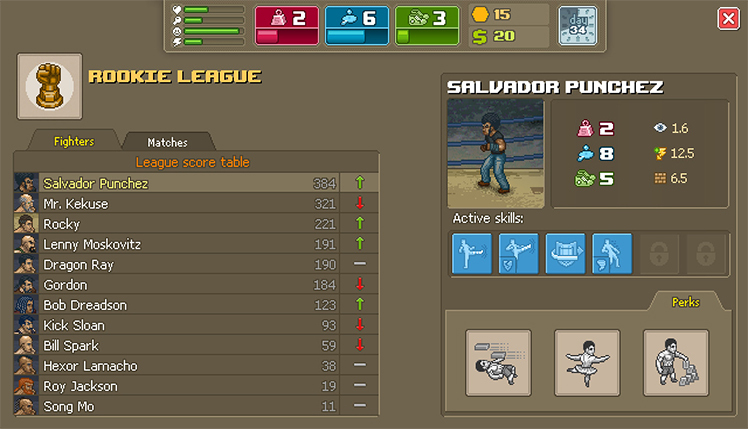 Players climb the ladder in the boxing club that they join. Train hard and specialize in different skills. Focus on one or be a jack of all trades. Make friends and struggle to maintain relationships on the climb to the top. Travel for various fights meanwhile learning secrets about who was responsible for the murder that changed the main character's entire life. This video game offers a choose-your-own-adventure style story. Different choices that players make will certainly change the outcome of the game. In fact, the type of fighting that players specialize in, who their friends are, and even what fights they accept or turn down are all things that can change the boxer's story. Indeed, everything matters in this simulator. 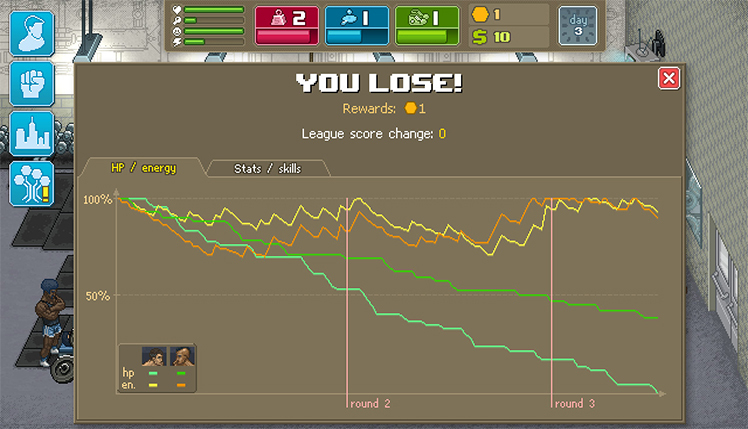 Win fights legitimately and become the proud champ or fight dirty and have opponents throw matches. First, climb the ladder and find clues along the way to solve the epic murder. 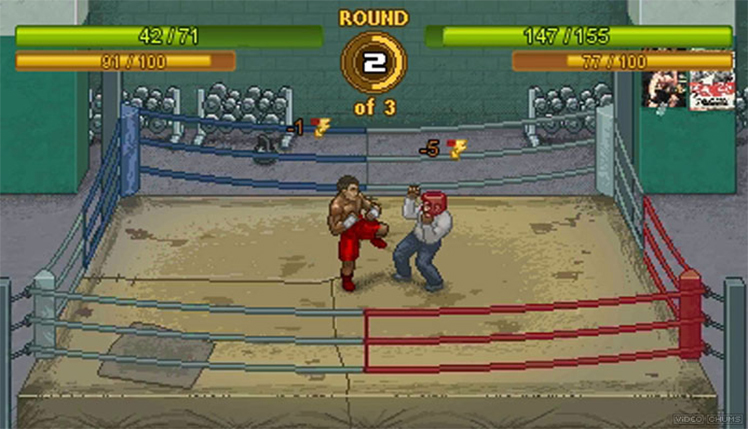 As a result, the game's fighting system is very unique. 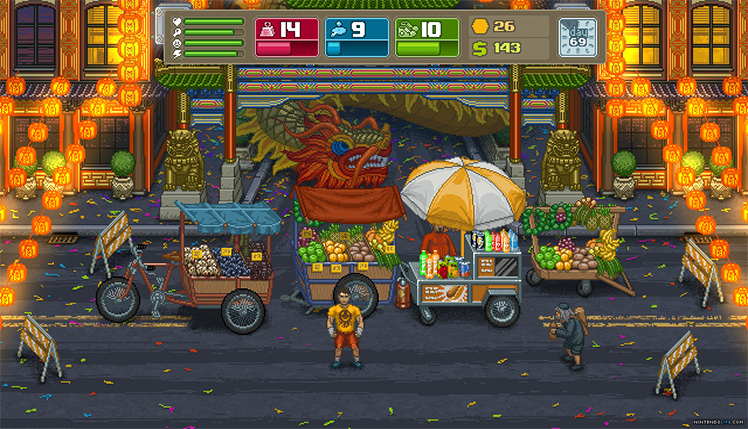 It's strategy based, and players choose between three distinct fighting techniques. There's The Way of the Tiger, then Turtle, or finally Bear. Furthermore, different moves depend on whether players want speed, strength, or accuracy. Befriend various people in the game and learn special moves that can't be learned anywhere else. 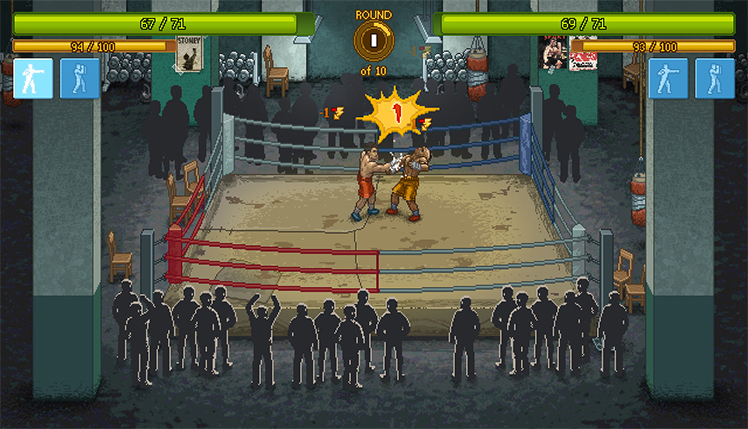 Before a major fight, players size up the opponent and select from any learned moves. Each set has a strength and a weakness. For this reason, plan carefully and rise through the ranks. 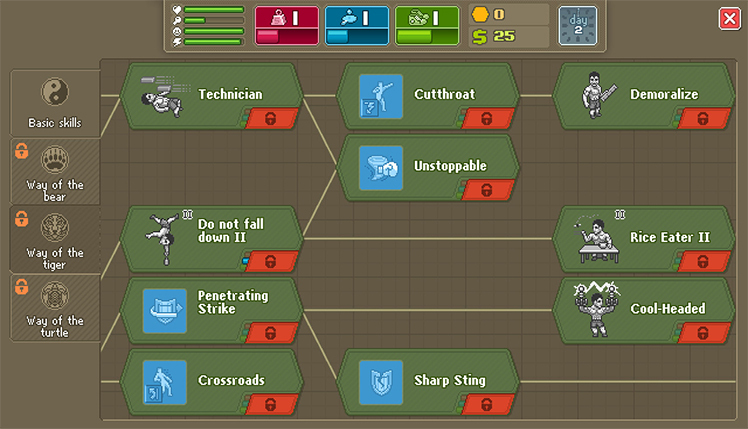 Extensive skill trees offer a truly unique experience for every player. No two fighters are built the same. With multiple endings, there are many things to discover on additional playthroughs! 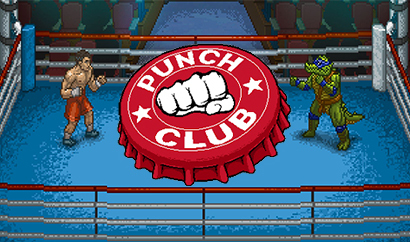 Punch Club tells the tale of a boxer's rise to glory. There are trials and tribulations, and training is an absolute must. Join a gym, make personal relationships with other characters, and unlock a variety of skills through exploration and experimentation. How will the boxer fight? Speed, accuracy, and power are all options on the table. Either be a stand-up guy or gain a reputation as someone who fights dirty. However, the biggest question is who is responsible for the murder of the main character's father? Follow this story-driven tycoon style simulator, build a custom boxer, and find out! 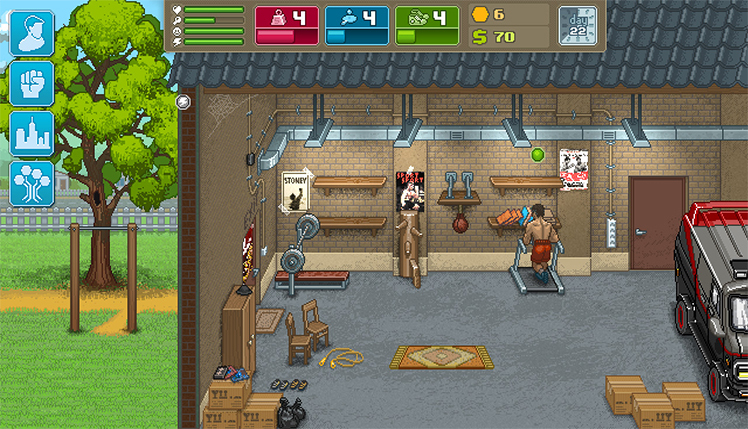 Move up the ranks in Punch Club to uncover the mystery of your fathers' murder. © 2018, Lazy Bear Games. 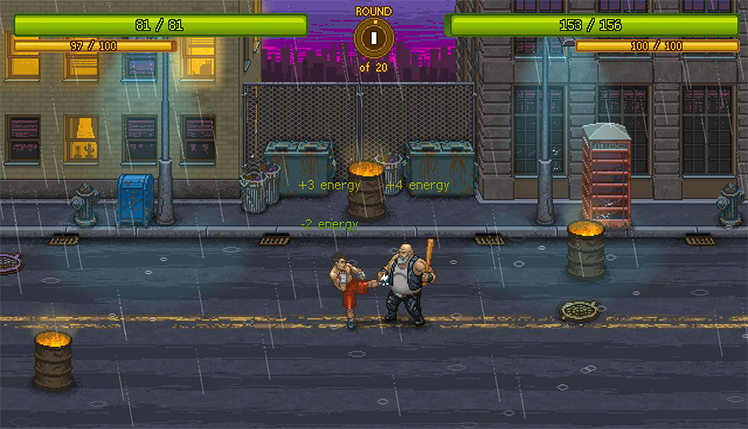 Lazy Bear Games logo, Punch Club, the Punch Club logo, are trademarks or registered trademarks of Lazy Bear Games. in the United States of America and elsewhere. All rights reserved.